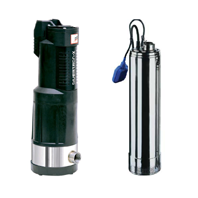 As the name suggests, submersible pumps are designed to be fully submerged in liquid to be pumped. 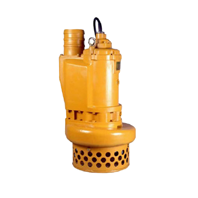 This is due to the pumps hermetically (water tight) sealed motor close-coupled to the pump body. 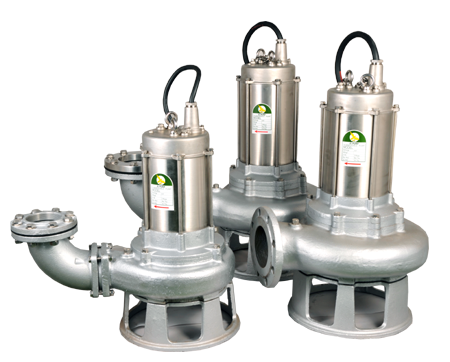 The main advantage of this pump type is that it prevents pump cavitation, a problem associated with a high elevation difference between the pump and the fluid surface. 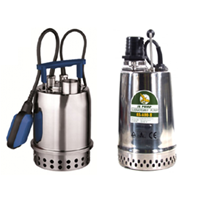 Submersible pumps push fluid to the surface as opposed to self priming jet pumps which have to lift and pull fluids. 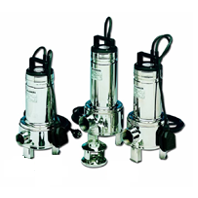 ►Single stage pumps are used for drainage, sewage pumping, general industrial pumping and slurry pumping. 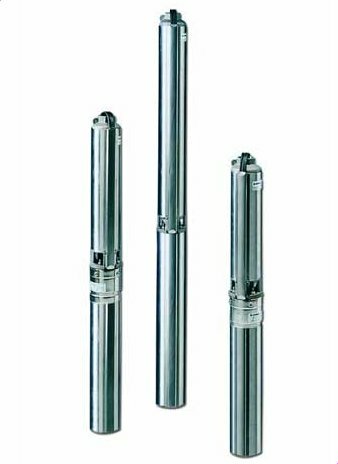 ►Multistage submersible pumps are typically lowered down a well or borehole and used for water abstraction or rain water harvesting. 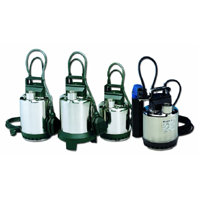 We offer a selection of high quality and low maintenance submersible water pumps built from heavy-duty stainless steel or cast iron. 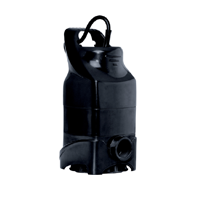 Each features precise design allowing for great pressure, power and flow control. 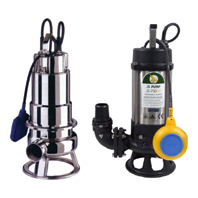 So whether you need a submersible pump for the treatment of dirty water and wastewater, a borehole pump or even pumps for your garden pond, browse our selection below. 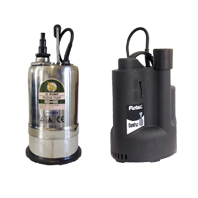 Our price guarantee means our prices won’t be beaten, so rest assured that you’re getting the most affordable price on water pumps with no compromise on quality.